Sports stadia are becoming more and more sophisticated. First there were closable roofs, then movable seating; now even the pitches can be reconfigured to suit different sports or other activities. Requiring massive loads to be moved with speed, precision and safety, stadium architects naturally turn to hydraulic specialists such as Oilgear. Oilgear UK’s Managing Director, Kieran Doyle, talks through the process of specifying and installing such a mammoth project. Sport is big business nowadays, and as such it relies on technology at many different levels: to make the events fairer, more competitive, safer and more entertaining. For example closable roofs help ensure competitions can be completed on schedule, which in turn means preparations for the next event run smoothly. Perhaps one of the best known examples of this technology is Centre Court at Wimbledon, home to the world’s favourite tennis tournament. While the Wimbledon roof has a lightweight fabric design of modest size, other stadia for sports such as association football, American football, athletics and baseball, have far larger and heavier retractable roofs made of metal or concrete. This means the only realistic way to move them is with hydraulic power. Some sports stadia are also used for concerts, entertainments, competitions, conventions, car events and boat shows. For such transformations it may be necessary to remove or reposition seating, or even relocate the pitch. The reason for wanting to move a pitch would be to protect its carefully cultivated sports surface during these other types of events. There are many possible configurations of a moveable pitch but essentially the pitch, plus sufficient soil beneath it to ensure stability, needs to be lifted and moved to a safe storage position. Whatever the requirements, it is probable that extremely large loads would need to be moved with precision and a hydraulic system is the best solution. When it comes to choosing a hydraulics specialist for such projects, Oilgear has many decades of experience in designing, building, installing and maintaining massive, yet precise, high performance hydraulic systems. Successful completion of these projects requires the bringing together of many different strands of knowledge, expertise and capability. Probably the most important consideration is technical expertise. A company such as Oilgear has incredible breadth and depth of experience in hydraulics engineering, including directly relevant projects and others in different fields from which ideas, techniques and solutions may be borrowed. Despite being in use for many decades, hydraulics technology is continuing to develop, such as by integrating electronic controls and addressing new application areas. 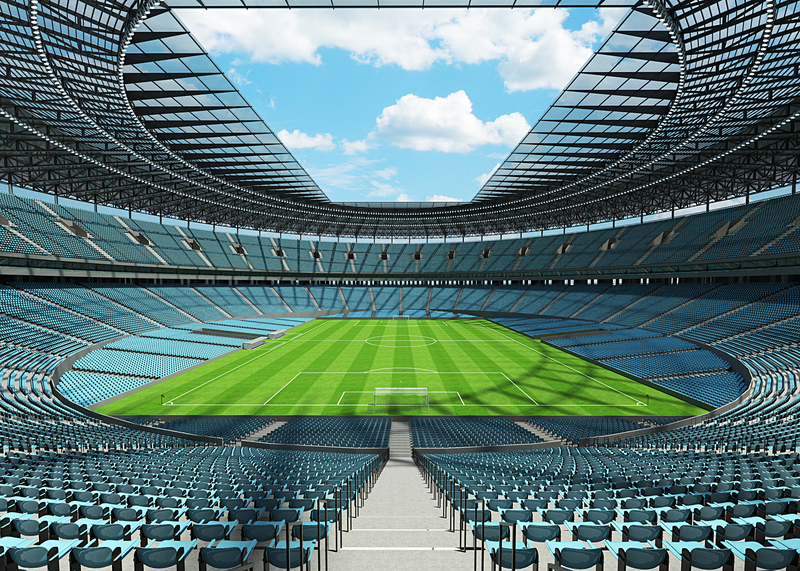 Originally developed for other markets such as oilfields, marine, aerospace, defence, power generation and manufacturing, the technology and expertise is directly transferrable to stadium projects. Oilgear has evolved a tried and trusted procedure for optimising new application development projects. A critical factor in major undertakings is project management expertise. It is unrealistic to assume that a job like a 100,000 seater sports and/or entertainment venue can be completed precisely to a predetermined plan without project management. There is a major need to constantly monitor progress, predict future problems and adapt to changing requirement. Typical problems that may arise include the client asking for changes and adaptations; intervention by national or local government bodies or other interested parties; budget changes, unavailability of materials or specialist personnel; bad weather disrupting progress; and even unexpected archaeological or ecological finds etc. Companies like Oilgear, who have had experience on many large jobs, know to expect such issues and be prepared to adapt to them. They also know that small issues can be equally disruptive, so need to be addressed properly and with flexibility. For instance a morning’s traffic problems 10 miles away may disrupt the delivery of materials or the arrival of people for meetings, and it is important to be able to work around such little niggles without losing productivity and progress. Technical knowledge and project management expertise are the result of a company’s longevity and stability – which are of equal importance for such projects. In addition, a business that has been established for many years can demonstrate financial security and offers greater security in terms of ongoing maintenance support into the future. Often new applications have to be approached with fresh ideas, but these need to be mixed with relevant experience, lateral thinking, wisdom, innovation, practical details and theoretical knowledge. In the early stages of a design project it is good practise to ask the ‘awkward questions’ and think about how the proposed system will need to develop over its lifetime. It is also sensible to assemble a broad based design team that will include experts in several different fields, including non-technical ones. Of course it is also a good idea to involve the client from the outset because, although they may not be technically minded, they will have tremendous insight into what will be required of the system ‘in the real world’. After the initial brainstorming it is important to establish defined objectives and parameters for the project, so that a goal can be focused on. It is equally important to recognise that this goal is not the end of the project, because the system will almost certainly need to develop and adapt over its lifetime. Good design teams often start by considering several possible solutions, knowing that as the project develops an optimum solution will emerge. Oilgear is very aware of the importance of this early stage of a design project and does not rush through it. It involves all parties, hosts round-table discussion forums and looks at all the ‘what ifs’ to ensure a good foundation. The actual design phase deals with developing the specifications, which will include performance parameters, component selection, performance limits, compliance with relevant legislation and standards etc. Analytical tools such as Computational Fluid Dynamics (CFD) and Finite Element Analysis (FEA) play a crucial role in this stage. Oilgear has first class in-house design capability, along with manufacturing and test facilities that ensure every component delivers reliability and performance. Its systems designers use their expertise and knowledge to create bespoke hydraulic systems for the most challenging situations. They may transfer tried and tested technology from one field to another, they may use innovative ideas, they could bring in colleagues from the world of electronics, and above all they will make sure that the client participates fully in all discussions. As well as the computational fluid dynamics and finite element analysis used to optimise the design and compress the overall project time, Oilgear’s specialist simulation software enables virtual testing at every stage. If necessary, individual components such as control valves, manifolds and hydro-electric systems can be developed for specific purposes or combined to create a unique control system. The next stage is computer modelling of a system, which allows theoretical testing before a prototype is built. It is often possible to then build parts of a prototype and assess them on a test rig, then assemble all the sub-systems into a complete system for final testing. Testing facilities and capabilities are essential for the successful completion of large-scale projects and Oilgear maintains regular investment in such equipment. For instance at its plant in Nebraska, the company has expanded its testing facilities to include 1/10,000th of a second data acquisition and multi-fluid testing. Facilities in Oilgear UK include a new custom-built, test station that can be used to evaluate the performance and reliability of new and existing pumps and valves in any working environment. Because Oilgear equipment and systems are relied upon across the world to perform around the clock, the company has a global network of engineering centres for providing on-site installation, commissioning, training and service. The importance of after sales service of large hydraulic systems cannot be overstated. Such systems are likely to have a life expectancy measured in decades, so a program of regular service and maintenance is the basic requirement. On top of this there is may be a future need for upgrades and redevelopments, plus new legislation or standards may come in which will need to be met. World class hydraulics companies will build in provision for these eventualities from the very start of the project. They will also maintain an engineering team and remain in contact with the client long after the installation and commissioning is finished.